Here’s one for anyone who already found Bohemian Rhapsody’s Oscar-winning editing kind of a joke—or who just wants to bum themselves out about the status of LGBTQ+ rights in some of the most powerful countries on the planet. 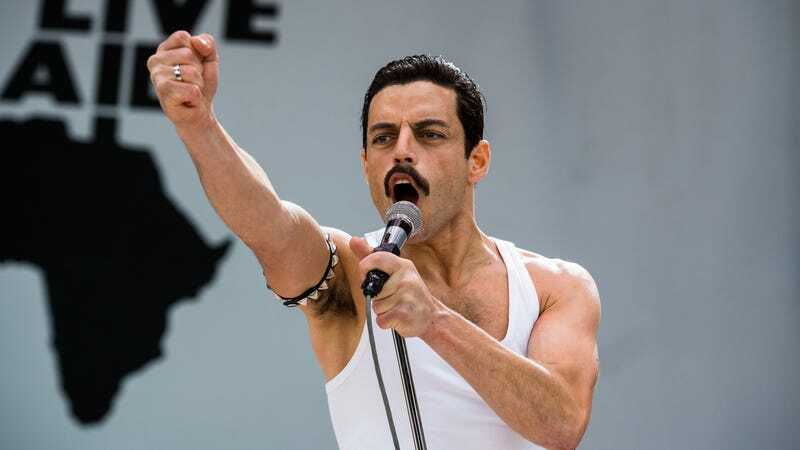 Per an Associated Press report, Rami Malek’s Freddie Mercury biopic is apparently so heavily censored by homophobic film policies in China that the movie’s plot now has a bunch of big, gaping plot holes making it even harder to follow than it already was. Of course, plenty of fans have already argued that Rhapsody didn’t contain enough focus on Mercury’s sexuality in the first place. But the reported cuts definitely sound like they turn the Bryan Singer-Dexter Fletcher-directed film into even more of a mess. Among the scenes cut or trimmed: The bit where Mercury tells his Queen bandmates that he’s dying of AIDS, which is, you know, kind of important to the movie’s plot. (He does say he’s dying, apparently, but the line about the disease has been muted out.) There’s also plenty of confusion surrounding Mercury’s lovers Paul Prenter and Jim Hutton, the latter of whom has his entire introductory scene cut due to a bit of errant crotch grabbing that apparently set censors’ hearts aflame. God help us if these people ever get their hands on Taron Egerton’s R-rated Elton John movie.